This week on Eat Your Words, Cathy is joined in studio by Brian Kateman, President of the Reducetarian Foundation. A vegetarian tired of feeling guilty for eating the occasional turkey breast on Thanksgiving, Brian came up with the idea of reducing but not eliminating meat from his diet. He was inspired by his research on the impacts of animal farming on the environment and human health and became a reducetarian and author on the topic. 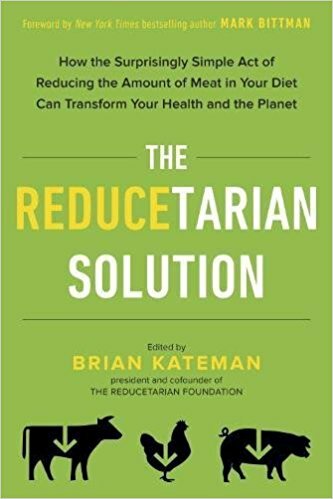 His book The Reducetarian Solution will be available in stores on April 18.